» Is Kris Aquino Moving To GMA Channel 7 After Her Decision To Leave ABS CBN? Is Kris Aquino Moving To GMA Channel 7 After Her Decision To Leave ABS CBN? The ‘Queen of All Media’ Kris Aquino was rumored to transfer to rival network GMA Channel 7 but was not confirm. 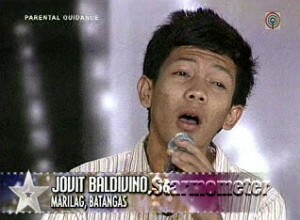 After announcing to leave ABS CBN months ago. 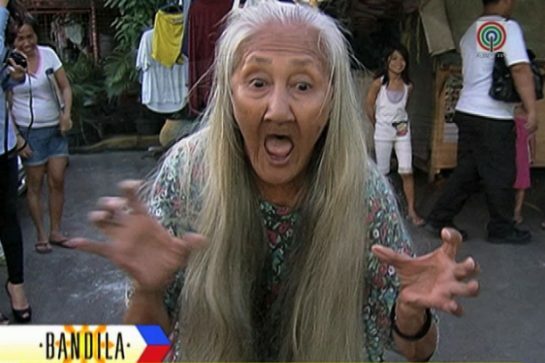 Kris used to be a Kapuso talent and star before moving to her current network. She wrote a series of post in Instagram regarding her departure in her long time home network ABS CBN. She also explains why she comes up on the decision and implied that she wants to spend more quality time with her family primarily her two sons Bimby and Josh and was also determined in taking care of her self more. Kris was also concerned about her health issues and urged herself to take it easy on her busy and demanding work. She also said that that her decision wasn’t permanent and will surely miss all her fans and the people around her for always supporting her career and understanding her life. She ended her almost 20 years relation with ABS CBN. Kris started her contract October 1996. 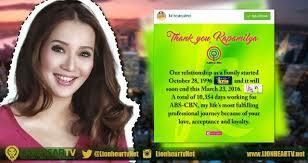 She ended her noon time show ‘Kris TV’ last March 23. The network also supported and respect Kris on her taking time off in showbiz.